Ukraine is a sovereign state in Eastern Europe that was once a key centre of East Slavic culture within the federation of ‘Kievan Rus’ – forming some of the basis of Ukrainian identity. From the 13th century, the territory was widely contested and fought over between Lithuania, Poland, Austria-Hungary, the Ottoman Empire and Russia. A Cossack republic emerged and prospered during the 17th and 18th centuries, but its territory was eventually split between Poland and the Russian Empire, merging with the Soviet Union until its eventual collapse. This variety of cultures is presented in the rich architectural history and diversity of castles across Ukraine today. 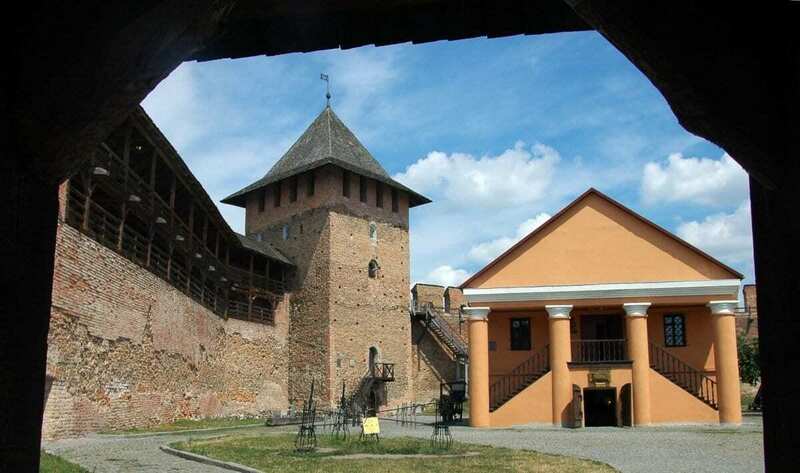 Lutsk Castle, also known as Lubart’s Castle is a 14th-century fortress located in Lutsk, Ukraine. 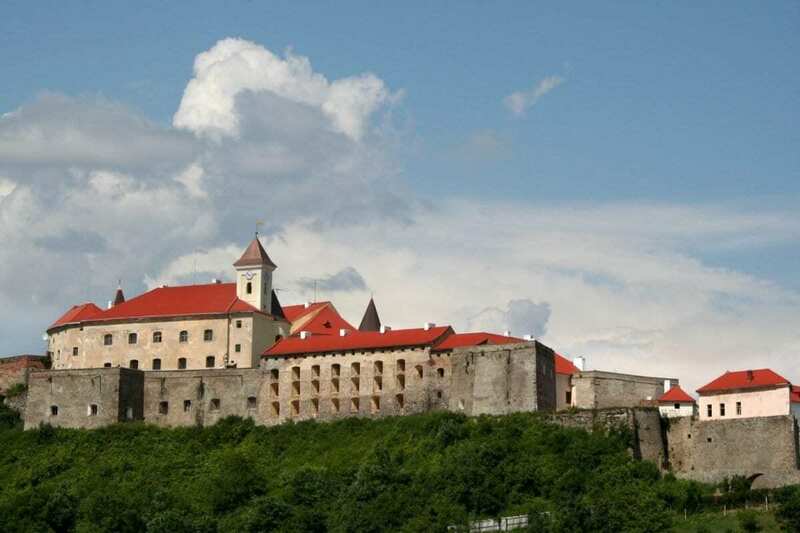 The castle is famed for repelled sieges by numerous potentates, including Casimir the Great (1349), Jogaila (1431), and Sigismund Kęstutaitis (1436). It was there that the Lutsk Conference of 1429 took place, attended by Emperor Sigismund, Vasily II of Moscow, Jogaila, Vytautas the Great, and the voivode of Wallachia. 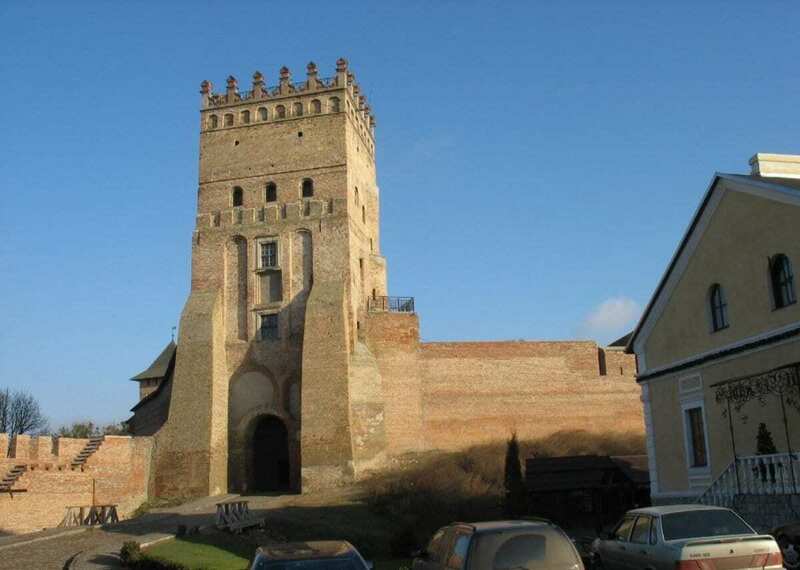 Svirzh Castle is a large fortified mansion built in the 15th century by the Świrski family. 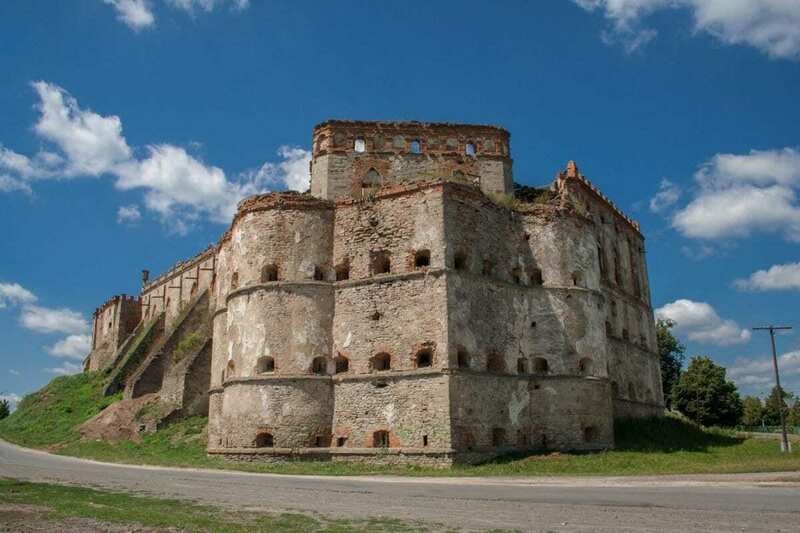 Located in Svirzh, Lviv Oblast region of Ukraine, the castle was rebuilt in the 17th century at the behest of its new owner, Count Aleksander Cetner. The castle has been subject to several attacks by Cossacks and Turks, before being left to ruin until more recent restorations. 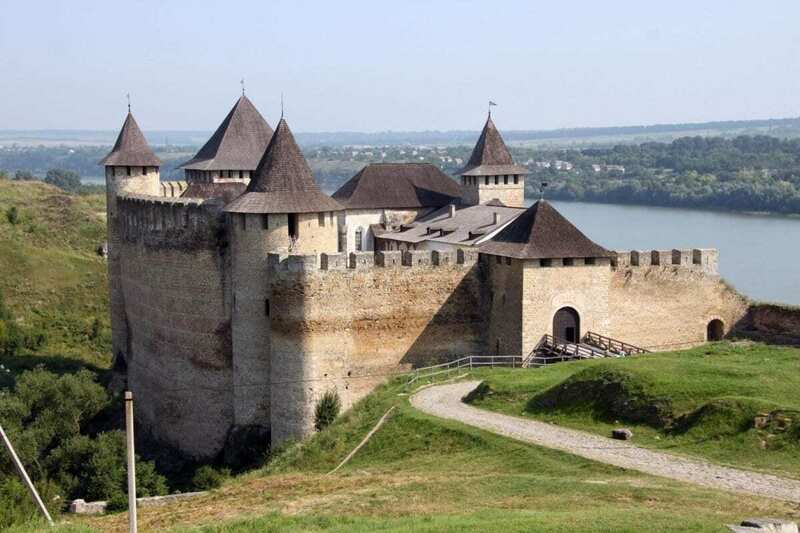 Khotyn Fortress is located on the banks of the Dniester River in the city of Khotyn in western Ukraine. 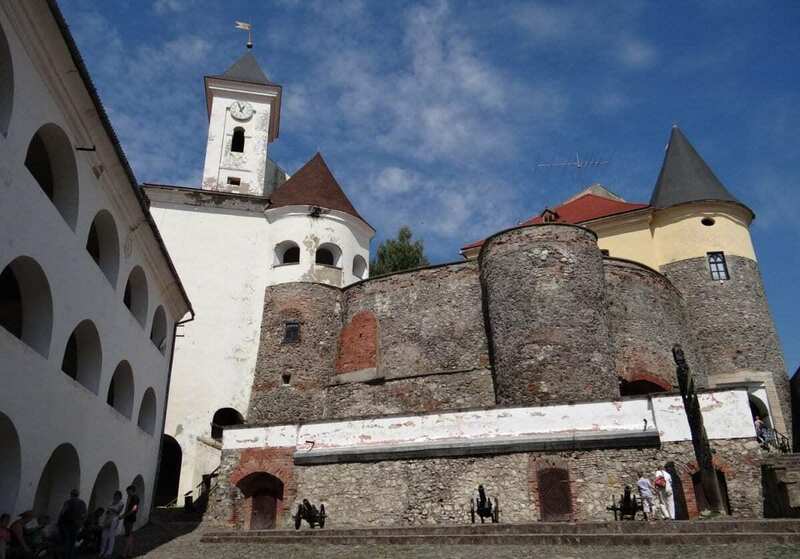 The present fortress was constructed in 1325 by Prince Danylo of Halych and his son Lev, but a castle has stood on the site since the 10th century. 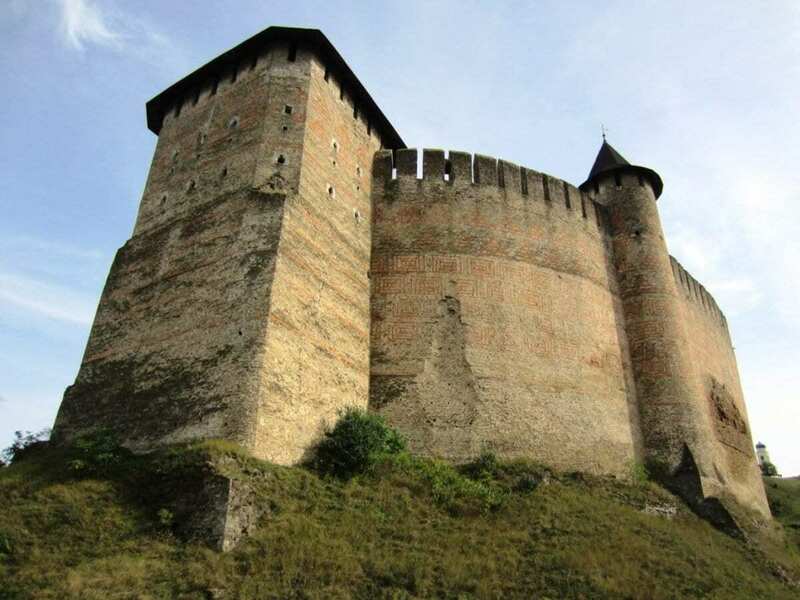 From 1340 to present day, the Khotyn Fortress has been vastly expanded due to invasions by the Maldavians, the Turks, Polish Lithuanian Commonwealth, Zaporozhian Cossacks, Russian, Romania and the Axis forces of World War 2. Chervonohorod Castle was the seat of the Danilowicz magnate family, located in the ruins of Chervonhorod in the Ternopil Oblast area of Ukraine. The name Chervonohorod or Chervone literally means “red town” and was the regions chartered administrative centre since 1434. The present castle was built in the early 17th century, but by 1820 saw a phase of demolition and renovation by the Poninky family who turned Chervonohord into an opulent palace. Kamianets-Podilskyi Castle is a large fortress located in the city of Kamianets-Podilskyi, Ukraine. The castle was constructed around the 14th century to defend a bridge crossing between the city and mainland. 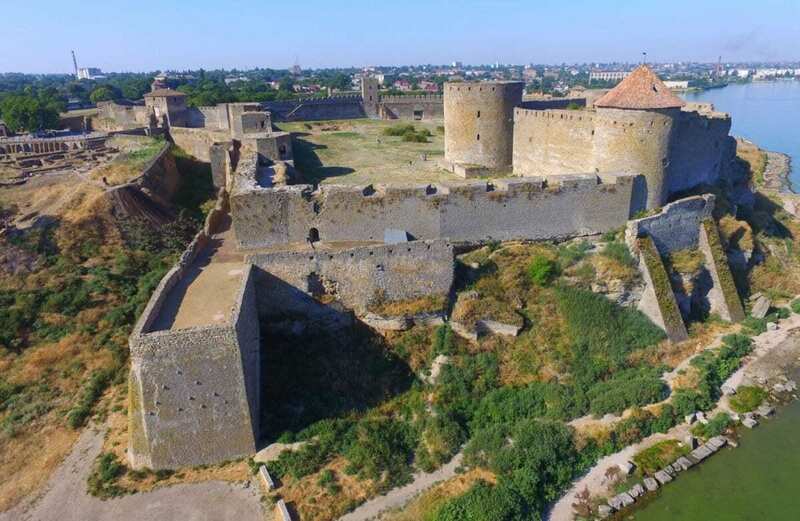 Kamianets-Podilskyi Castle was subject to multiple sieges and invasion over the centuries, this is evident in the multi-cultural architecture and influence on the buildings that stand within the castle today. 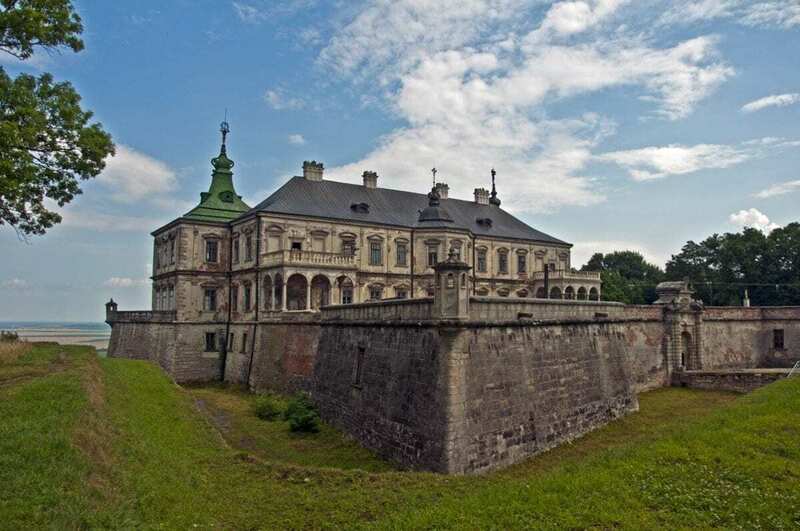 Pidhirtsi Castle is a fortified residence located in the village of Pidhirtsi in Lviv Oblast region of Ukraine. The present castle was built by Guillaume Le Vasseur de Beauplan between 1635–1640 by order of the Polish-Lithuanian Commonwealth’s Grand Crown Hetman Stanisław Koniecpolski on the site of an earlier fortress. In its heyday under Jakub Ludwik Sobieski, the castle was richly furnished, with several halls, a library and ornately landscaped gardens and parks. After successive occupations by Russians and the Austrian-Hungarian Empire, the castle was almost completely burnt down in 1956. 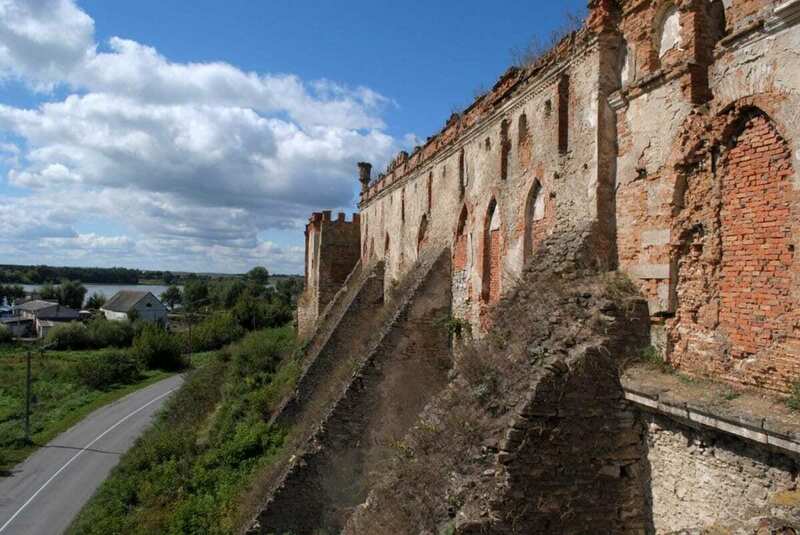 During the 15th century, Bilhorod-Dnistrovskyi was subject to repeated sieges by armies of the Ottoman Empire and Zaporozhye`s Cossacks, before eventually falling under Turkish control that led to a massive period of expanding the castle’s defences. 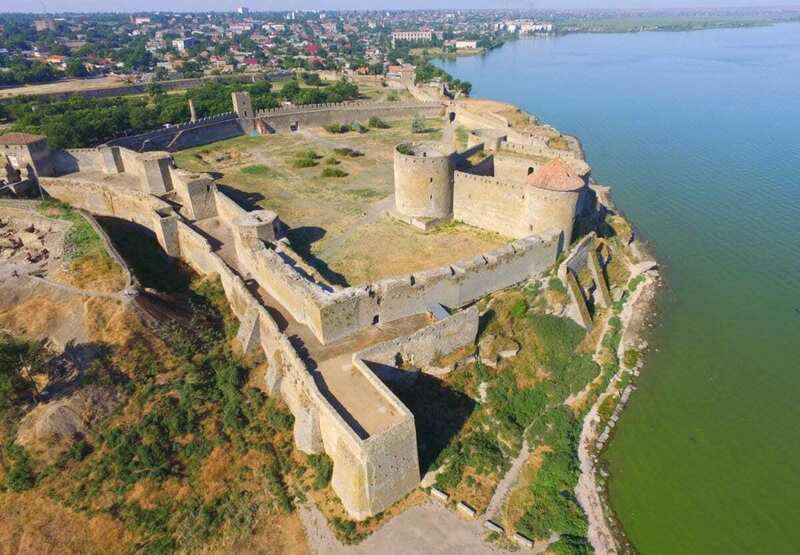 Bilhorod-Dnistrovskyi Fortress – Image Credit : Alexey M.
Medzhybizh Castle was built as a bulwark against Ottoman expansion in the 1540s and became one of the strongest fortresses of the Crown of the Kingdom of Poland in Podolia. It is situated at the confluence of the Southern Bug and Buzhenka rivers, in the town of Medzhybizh Ukraine. 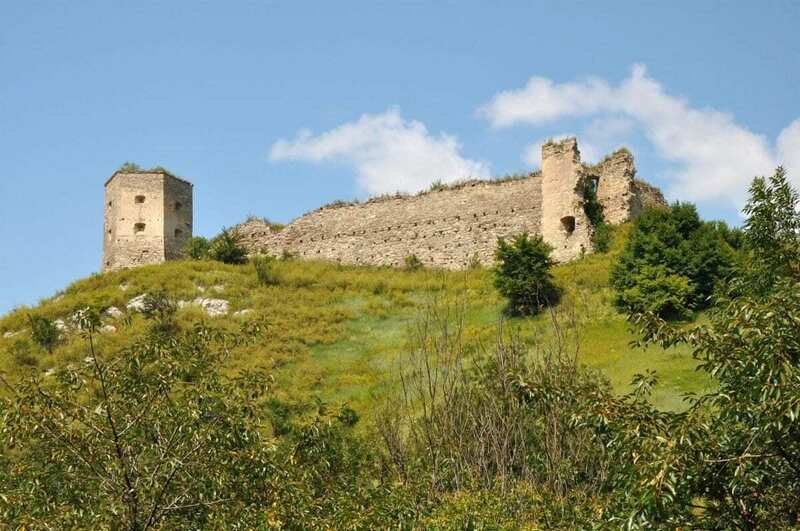 Palanok Castle is a large hill-top fortress in the city of Mukacheve in western Ukraine. Construction began in the 14th century by nobles from the Kingdom of Hungary on a 68-metre tall volcanic hill. 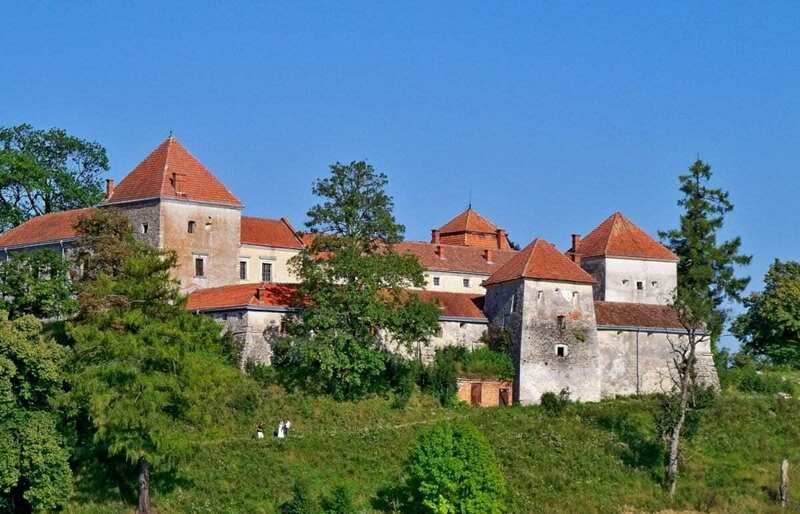 Through the centuries, the castle served as a residence to many notable people: the Koriatovych family for almost 200 years, the Serbian prince Đurađ Branković, Regent of Hungary János Hunyadi, and the wife of a Hungarian king, Laiosh Maria. 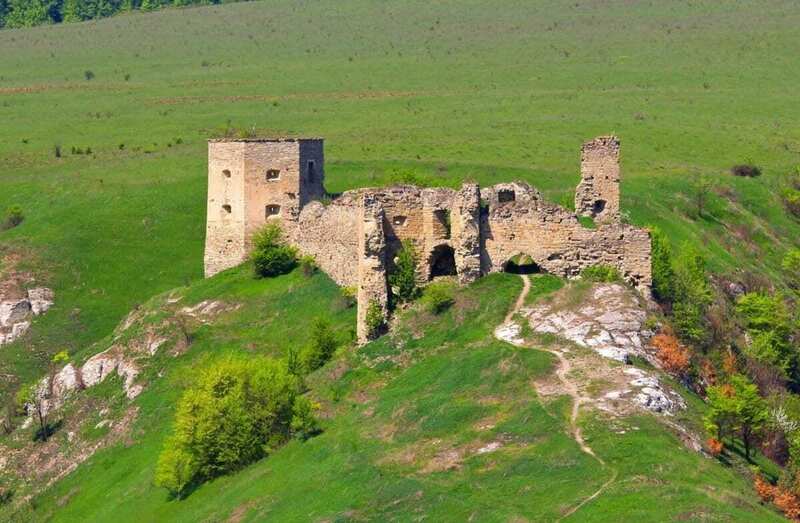 Kudryntsi Castle is an early 17th-century castle built on a hilltop overlooking the Zbruch River in the Borschiv Raion (region) of Ukraine. Shortly after construction, the castle was subjected to repeated sieges by the Cossacks and the Turks, until eventually being abandoned and left to ruin some time in the 19th century. Header Image – Bilhorod-Dnistrovskyi Fortress – Image Credit : Alexey M.